For the past 11 years, Fantasy Football Nerd has been recognized as one of the most innovative companies in the fantasy sports industry. Our advanced algorithm and tools have consistently helped millions of users win their leagues. We're proud to take our technology to the next level and introduce the availability of Fantasy Football Nerd through the Amazon Echo! You'll be able to ask your Echo who to draft, who to start each week, read the news, get player updates, or whether or not you should do a trade. Amazon Echo is designed around your voice. It's hands-free and always on. With seven microphones and beam-forming technology, Echo can hear you from across the room! Best of all? It's free on your Amazon Echo! The first thing you need to do is enable the Fantasy Football skill. Alexa, enable Fantasy Football skill. 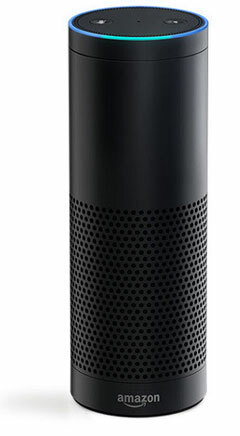 Use your Amazon Echo to get the latest fantasy football related news. Alexa, ask Fantasy Football Nerd for headlines. Use your Amazon Echo to help you during your fantasy football draft. Alexa, ask Fantasy Football Nerd if I should draft Antonio Brown or Ezekiel Elliott? Use your Amazon Echo to help you decide who to sit and start each week. Alexa, ask Fantasy Football Nerd, should I start Aaron Rodgers or Tom Brady? Use your Amazon Echo to get the latest player updates for all skilled positions. Alexa, ask Fantasy Football Nerd for updates on Todd Gurley. Use your Amazon Echo to get trade advice before you make that trade. Alexa, ask Fantasy Football Nerd should I trade Eli Manning for Cam Newton? Why should I use an Amazon Echo? Need to decide between two players during your fantasy draft? Ask Alexa. Setting lineups has never been easier. Simply ask Alexa who to start. Analyzing a trade has never been easier. Simply ask Alexa if you should trade one player for another. Need updates on a player injury? Just ask about that player. Stay up to date with all the latest fantasy football news just by asking! Alexa connects to Fantasy Football Nerd through the cloud instantly. All you have to do is ask! Best of all - it's free to enable and use!